View of the box and the outside of the book. 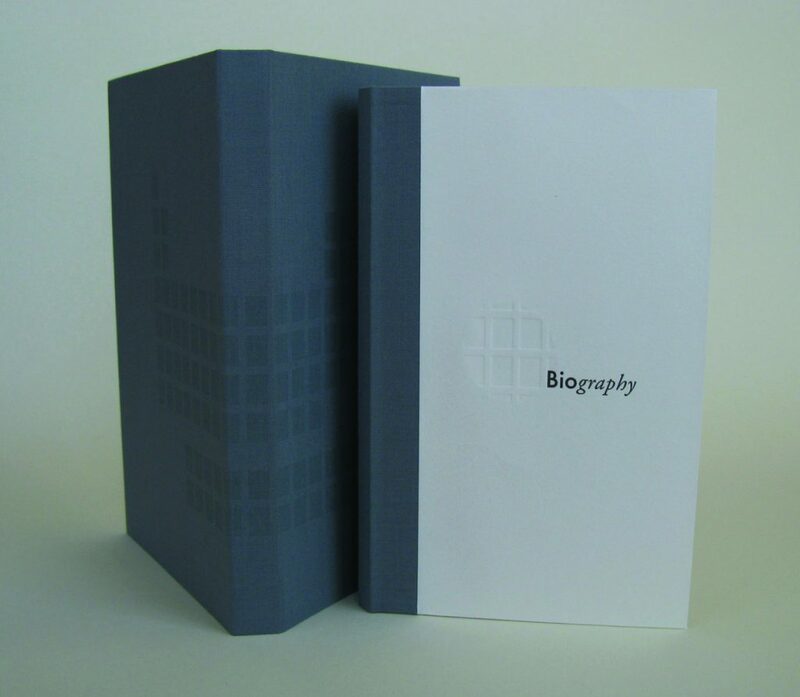 The box is covered in a blue-grey book cloth letterpress printed with the grid of the periodic table. 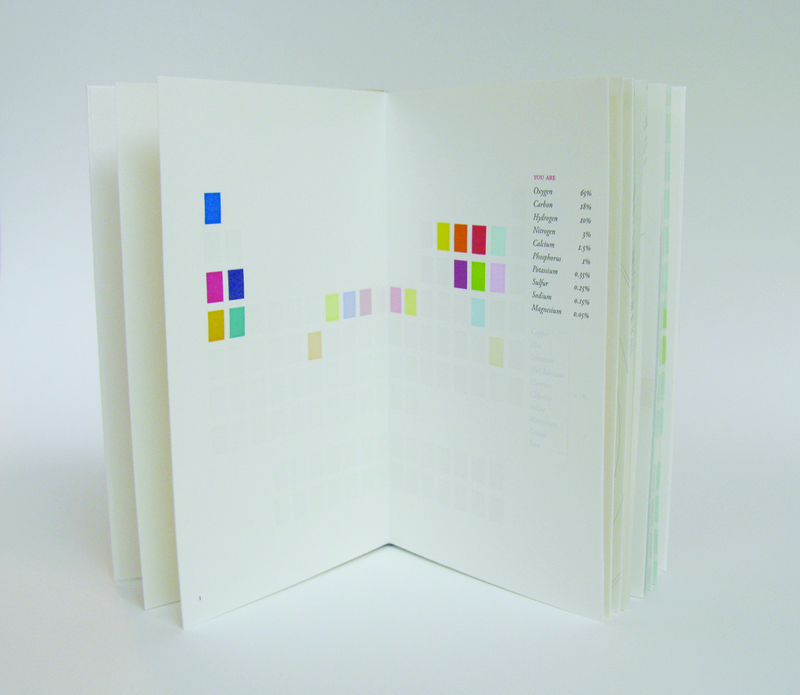 The cover of the book is letterpress printed and blind-stamped on Zerkall Book Vellum. Bound as a hardcover drumleaf; enclosed in a clamshell box. 83/4 x 51/2 x 3/4. I produce books that examine both our physical composition and our social anxieties; our dry assessment of our environment and our emotional connection to those surroundings. 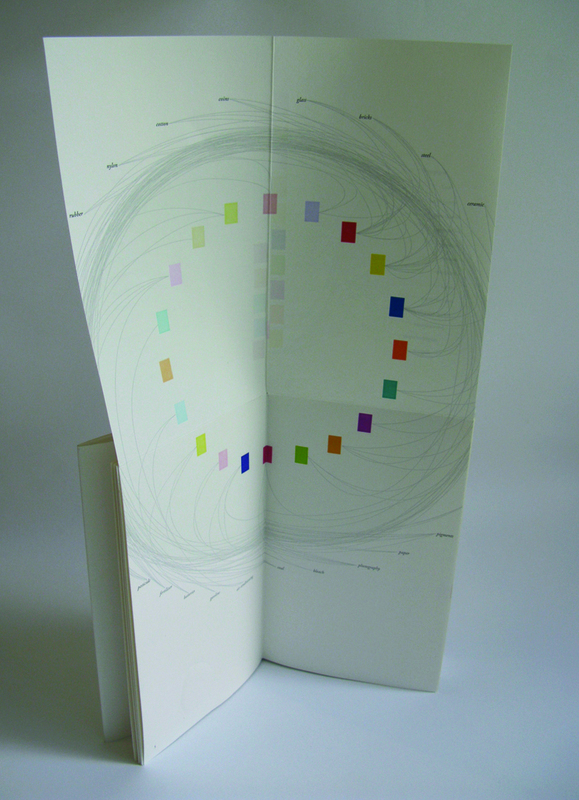 I use diagrammatic imagery and text derived from reference materials to convey these ideas. Analytical imagery is critical to how we imagine ourselves and the world around us, and how we relay that understanding to others. I am interested in the simplicity of this diagrammatical language, which allows for slight variations in line, color and format to describe a great variety of different systems; the movement of peoples, changes in climate, the progress of disease. This flexibility speaks to our need to connect, to find patterns, and to place ourselves in a world we can understand and explain. I work in book form because of the natural relationship between the book and the communication of information. 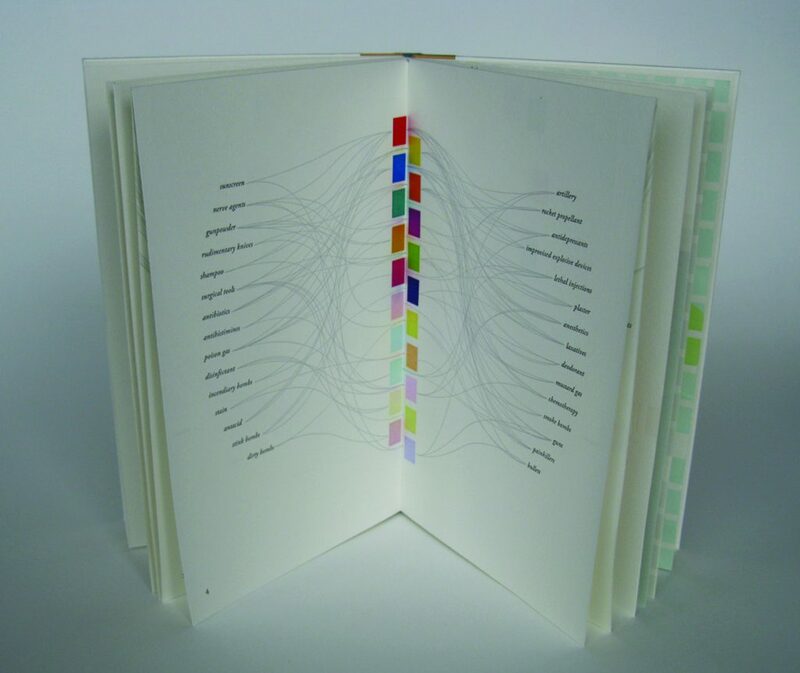 Our visual vocabulary developed simultaneously with the development of the book. They have worked together for over a thousand years to encapsulate information, to preserve it and to pass it forward. Books also allow me to present a sequence; a book must be viewed spread by spread, and consequently I am able to guide the viewer through the piece in my own way, pacing their experience with folded pages, layered imagery and text. 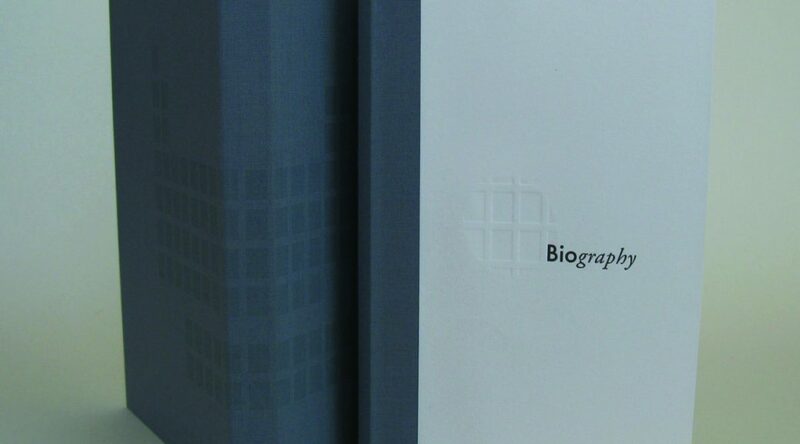 My most recent project, titled Biography, is an examination of the chemical elements in the human body and the roles they play elsewhere in the world. 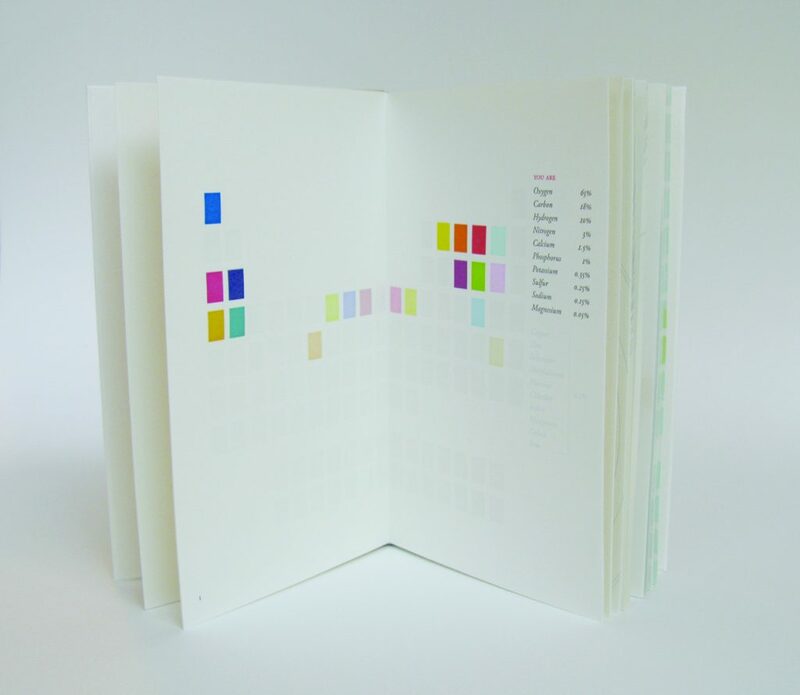 This book grew out of my desire to use the periodic table­, our visual method of categorizing every particle of matter in the universe, as a tool for creating a portrait of a human being, the viewer of the book. We are composed of a finite number of elements, each of which has a rich life outside of our bodies making up critical components of the physical world and the tools that we produce and use to measure and investigate that world. 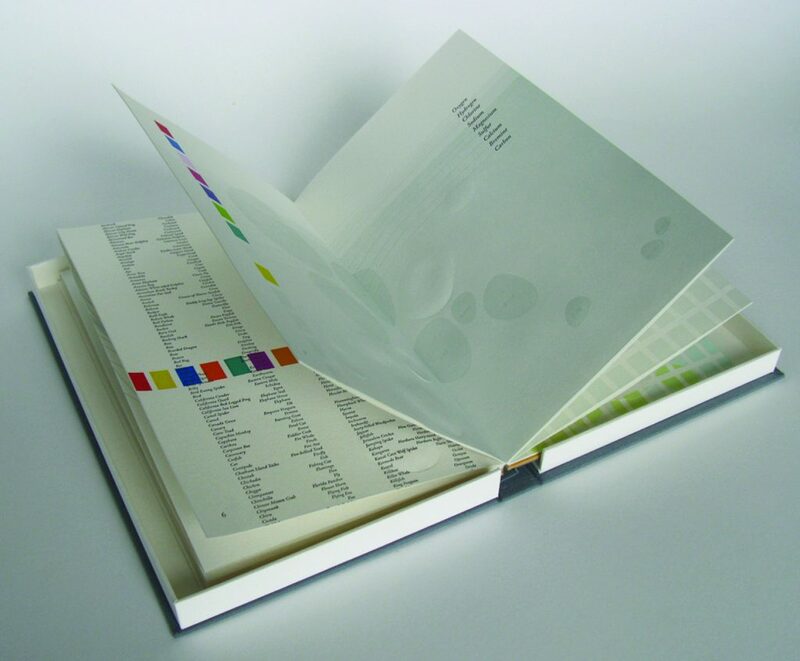 Each chemical element present in the human body is identified early in the book as a rectangle of specific color. 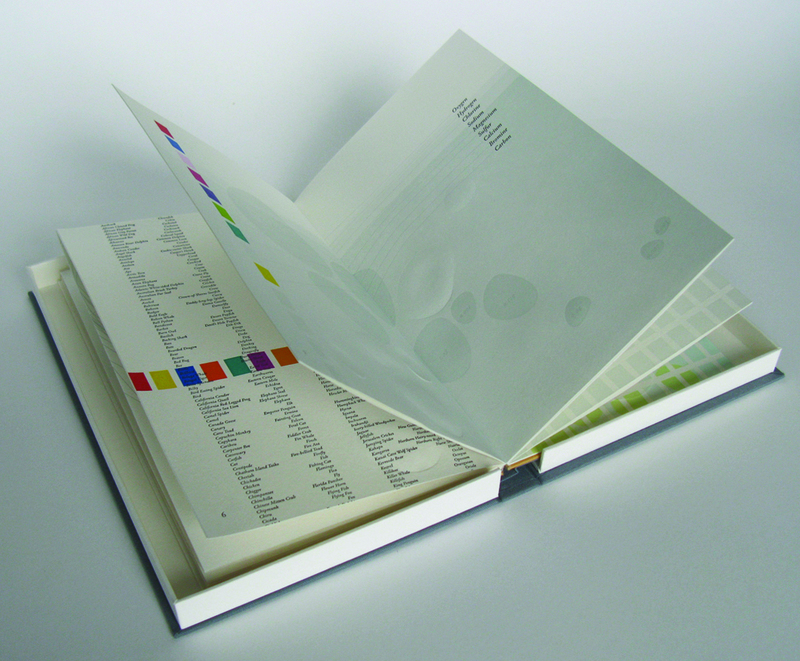 Spreads in the book present diagrams describing these elements as they exist in the periodic table, the earth’s crust, seawater, and a selection of man-made weapons, medicines and tools. The colored rectangles are present throughout the diagrams in the book, which are sometimes difficult to decode and are increasingly interrupted by blind stamped organic shapes and pressure printing.